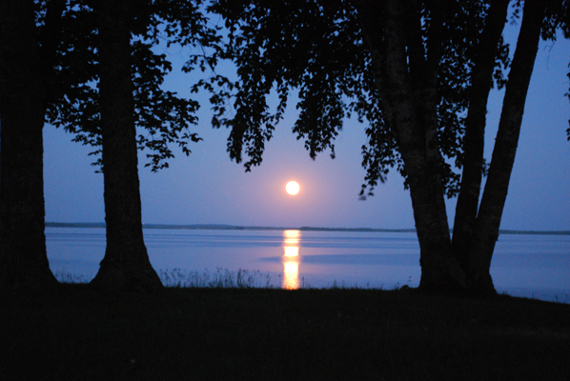 The Northwoods of Minnesota is famous for its wolf and bear populations. Now you can observe them in their natural habitat where they are protected in nearby sanctuaries. We’ll take you to the sanctuary of your choice with a Conservation Package that includes admission to the sanctuary, round trip transportation and a snack. Each of the sanctuaries is open to the public only during certain times of the year. 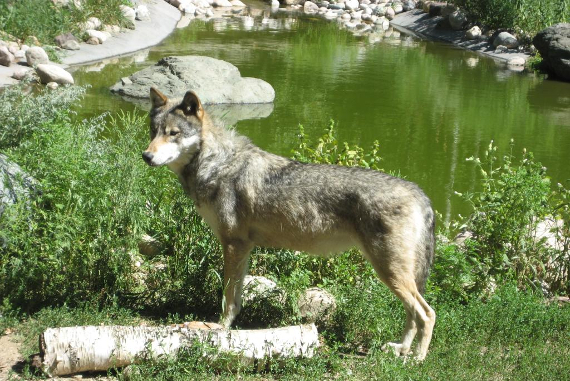 If you wish to go to the Wolf sanctuary, please use the link that follows to see the dates and times it is open, and make your plans accordingly. If you have any questions, please contact us for more details. 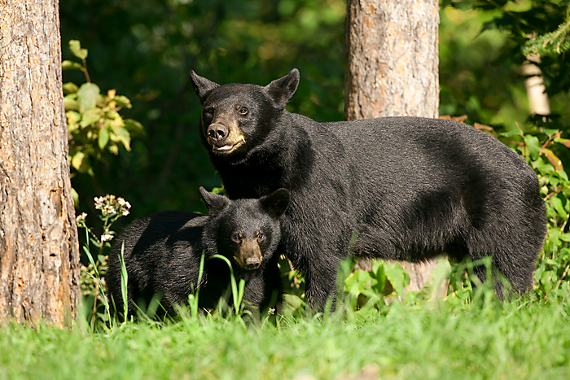 The Northwoods of Minnesota is famous for its wolf and bear populations. Now you can observe them in their natural habitat where they are protected in nearby sanctuaries. We’ll take you to the sanctuary of your choice with a Conservation Package that includes admission to the sanctuary, round trip transportation and a snack. Each of the sanctuaries is open to the public only during certain times of the year. If you wish to go to the Bear sanctuary, please use the link that follows to see the dates and times it is open, and make your plans accordingly. If you have any questions, please contact us for more details. Portage into a hidden walk-in lake for a day and fish for giant Bluegills, Crappies and Largemouth Bass. 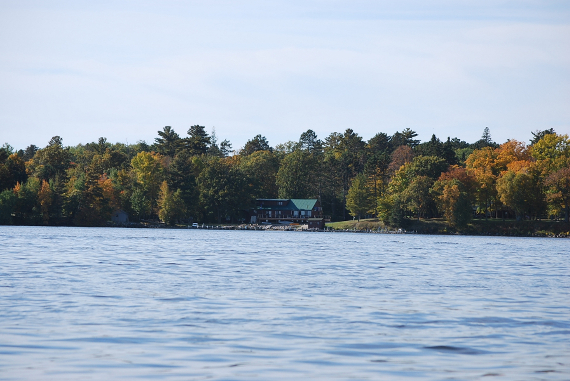 We know of a nearby lake that is so secluded it’s not accessible by roads. 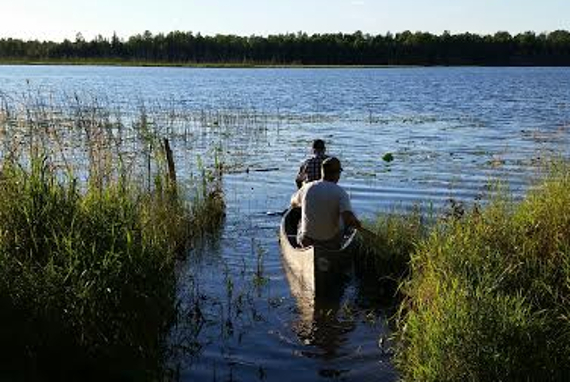 So we’ll take you there by canoe and portage in. The lake is a beautiful, untouched gem that gets very little fishing pressure, and a guide will take you to the action. We’ll outfit you with all you need to make this happen, including guide, water or soft drinks, box lunch, bait and a canoe. 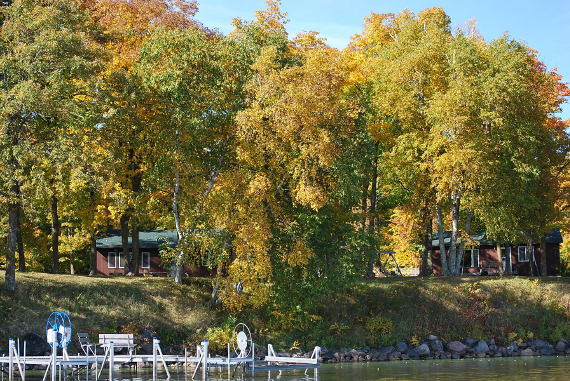 We’ll set you up for a day of worry-free fishing on Bowstring Lake so you can fish to your heart’s content. The Fishing Package includes daily boat and motor rental, bait appropriate to the season, and a tank of gas. We can also arrange for a fishing guide to put you on fish on famous Bowstring Lake. Both win with this package. While he gets a guided fishing trip, she gets pampered with a day at the spa. A 4-hour guided fishing trip will get him on the water to fish...and we’ll transport her to town to spend the day getting a massage, a manicure and a pedicure! Best of both worlds!!! We will welcome you upon arrival with champagne and decadent chocolates in your cabin. A member of our staff will then take you on a romantic sunset cruise on our pontoon. On board, you’ll be treated to an evening snack of wine and cheese. On the morning of your departure, you’ll wake up to homemade muffins and hot coffee delivered to your cabin. 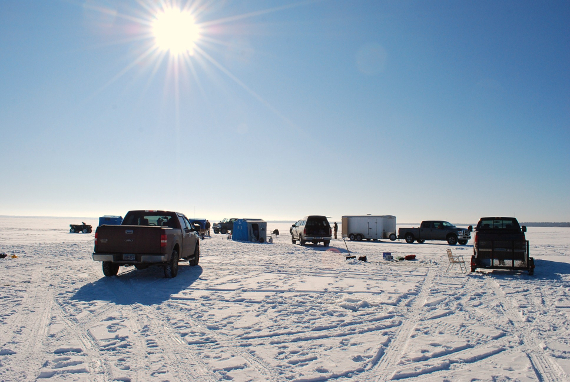 Come fish with us, hardwater style! 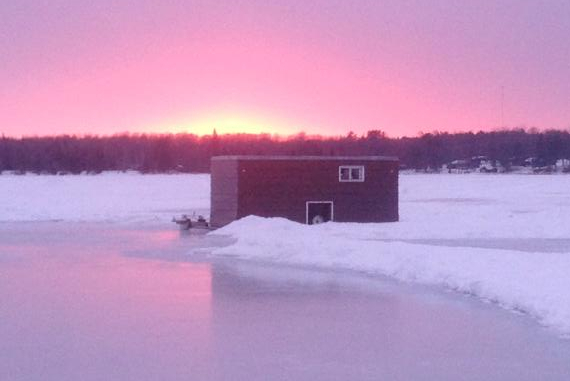 This package includes use of, and transportation to and from, one of our comfortable and heated ice houses on the lake, bait appropriate to the season, and a hot pizza delivered right to you out on the ice. Want the whole package? Bring your ice house to us before ice-on, and we’ll keep it on the resort property until it’s safe to put out on the ice. Then we’ll use our lake access to put your house on a fishing hotspot. When you want to go fishing, just call us when you’re on your way and we’ll open your holes, turn your heat on and make sure there is safe passage between our access and your house. This package also includes one move to a location of your choice for free, and we’ll even pull your house off the ice before the DNR deadline in the Spring. Note: We do not store ice houses, so you will need to pick it up before April 1st. Additional fees apply if you request multiple moves. Great time was had by all, wonderful trails. Really enjoyed our stay this week! Loved the new cabin! Thanks for making us feel a part of the family! See you next year! Had a wonderful time; so good to get away and rest your mind.